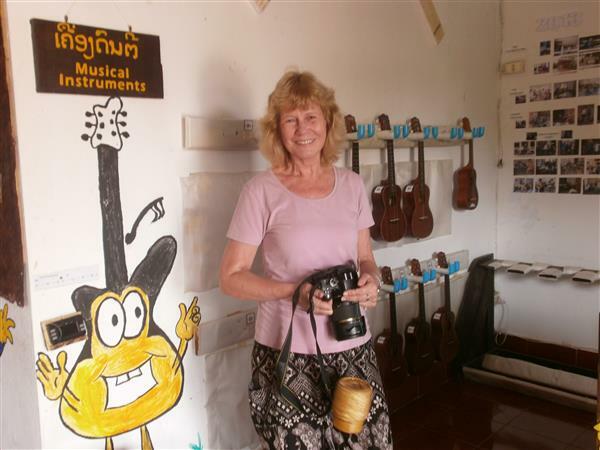 A couple of travelers from the UK left two ukuleles at White elephant adventure Company to hand out to Lao children. 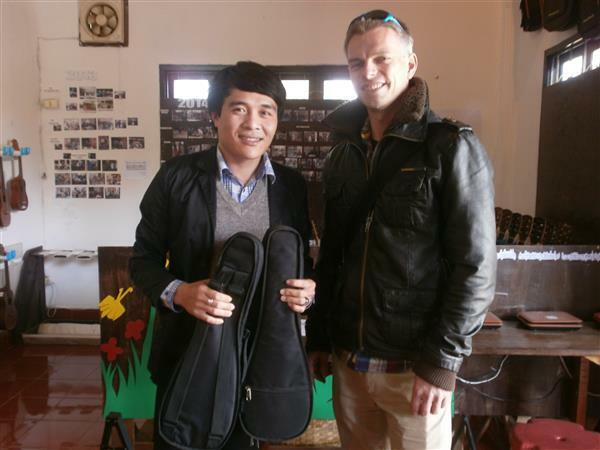 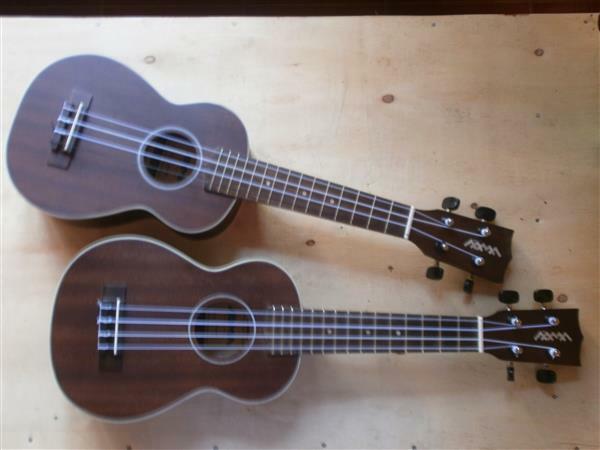 And many thanks to Alexander from www.white-elephant-adventures-laos.com for taking those ukuleles to MES. 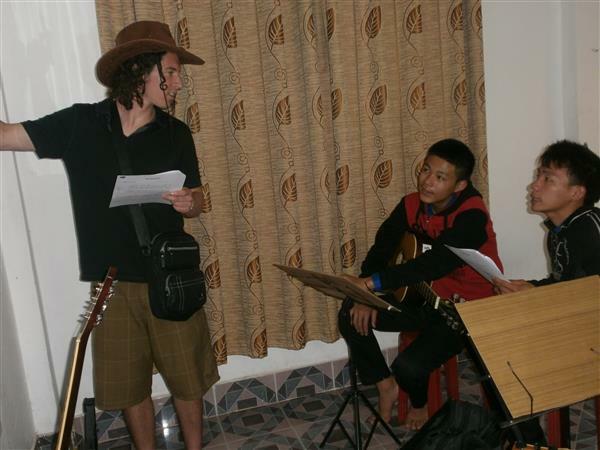 Here is Gorka from Spain and a friend from the USA helping students sing some song in English. 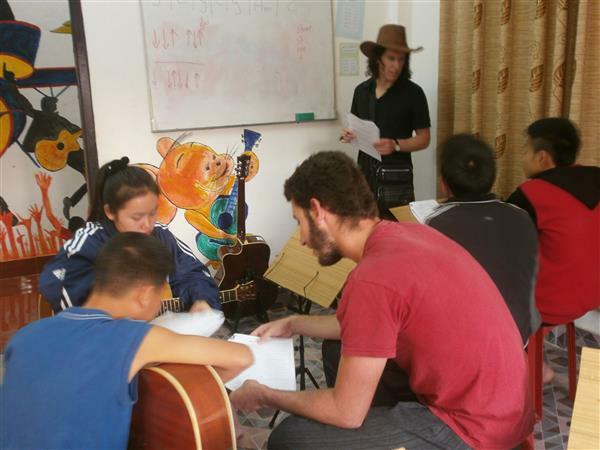 Here is Berit from Norway.